Desire Society, Bachupally (1 year anniversary of Smiles Across Miles), May 2015. Donating money is easy, but how about time? When I came to know that my friend Rajkiran volunteers regularly, I asked him to share his inspirational story. So here goes, a GUEST POST from Rajkiran. Since my childhood days, I have always wanted to help people who are in genuine need. I had seen many NGOs helping out people but wasn’t sure whether the money was being utilized properly. I was waiting for the right platform to reach the really needy people. 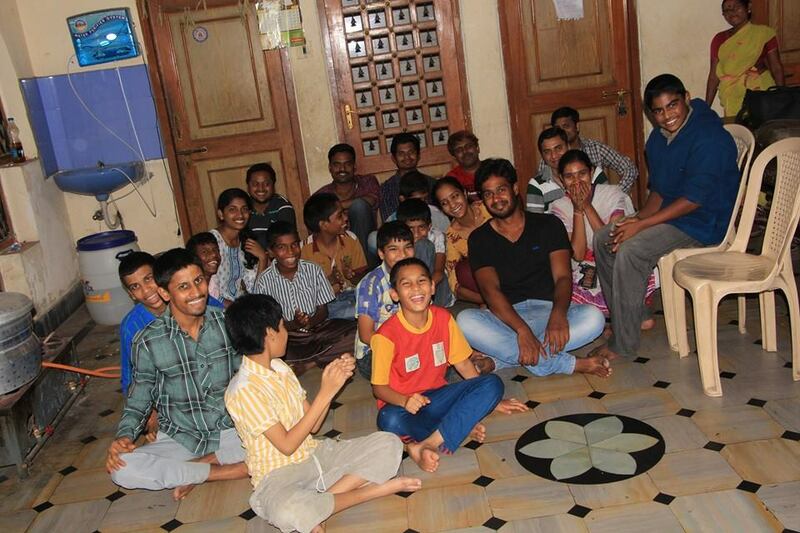 In March 2015, my friend Punitha introduced me to a group called Smiles across Miles. 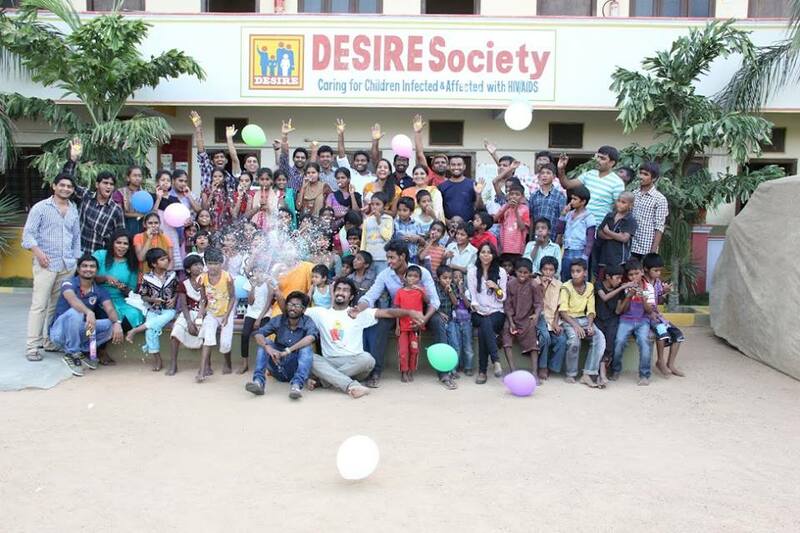 Formed by 4 friends in May 2014, this group has grown to 40 people who have the wish to help society. The way this group works is like this – any of the members can suggest a place to visit. Places could be orphanages, schools, hospitals, etc. in and around Hyderabad. The members then discuss and finalize a place. Next Rs. 100 or more is collected from all the members. It is mandatory to give at least Rs. 100 so that the donation chain isn’t broken. The collected amount is used to buy ration items, food, books, stationery, school uniforms and blankets. Money is never donated directly, except as school admission fees. The group then visits the place on the 2nd Sunday of each month, along with the materials to be donated. I have been on 7 visits since I joined 6 months ago. 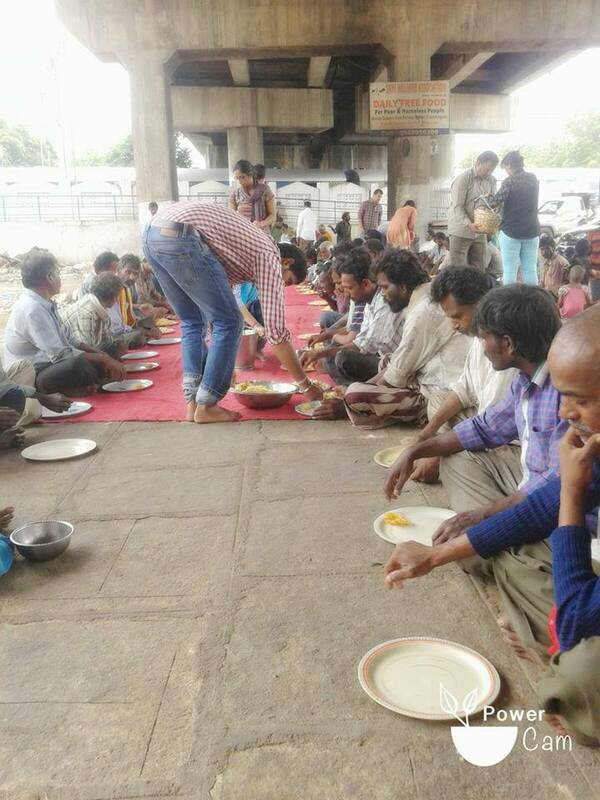 Our most recent visit was to Dabberpura flyover on Aug 22, where we met and assisted the very inspirational Azhar Maqsusi, who has been providing free food to 60-150 members there continuously since the last 1225 days, along with free tuition for 10th class students and a free clinic for needy patients. Every human being has an inner urge to help the society, but most of us drop the idea because we don’t know how to start. Smiles across Miles aims to create awareness among people and provide them a channel to help those who are really in need. You can know more by visiting our Facebook page. I will share few pics of our service till now. Thanks Pranav for giving me this opportunity to share on your blog. 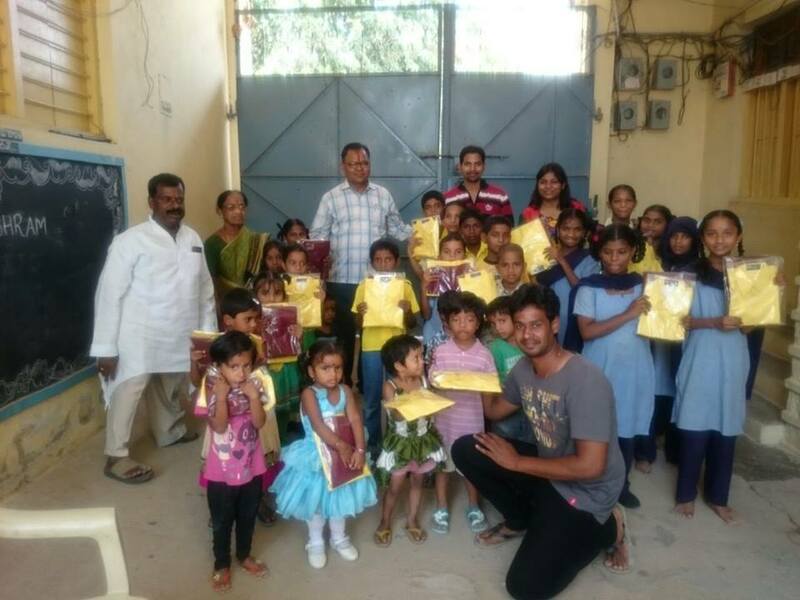 Food and stationery donated at Sri Sai Seva Sadan, Ameerpet, July 2015. Uniforms given at Kasturba Girls High School, Babu Seva Ashram, Doodbowli, July 2015. 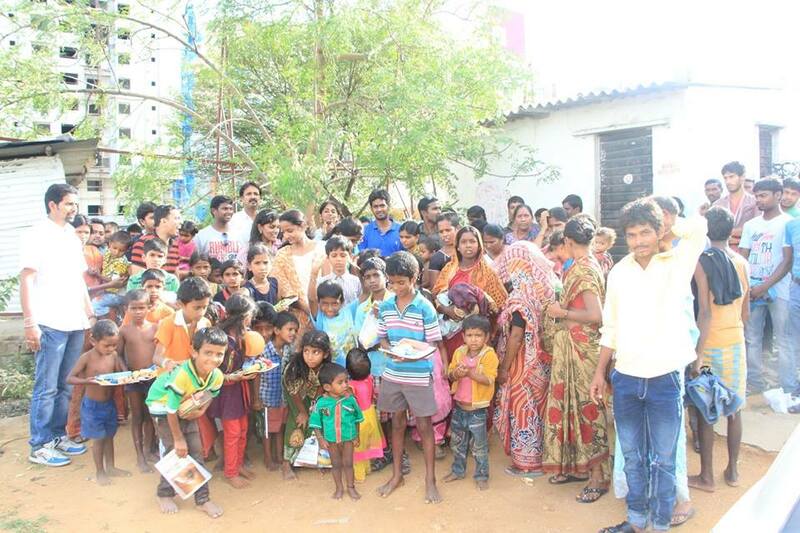 Donated food and books in slum area, Madhapur, 15 Aug 2015 (Independence day). Helping Azhar Maqsusi, who provides daily free food at Dabeerpura flyover, 22 Aug 2015. That is such an inspiring story. I notice that many youngsters want to do something about social injustice and not just give money but give their time and labor too. This is a significant change from just a few years ago. India is awakening! Yes, Rajkiran’s story is indeed inspiring. 🙂 And I am happy to know that my blog is helping in spreading word about such initiatives. Do check out their FB page for more on their activities (they plan to come up with a website soon).